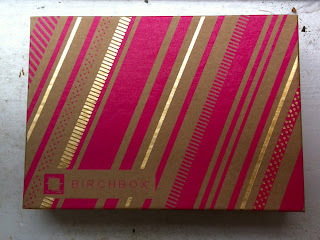 I received my Birchbox super early this month. It was a nice, unexpected surprise after a long day of classes! This month is holiday themed, of course, and I am obsessed with the packaging! 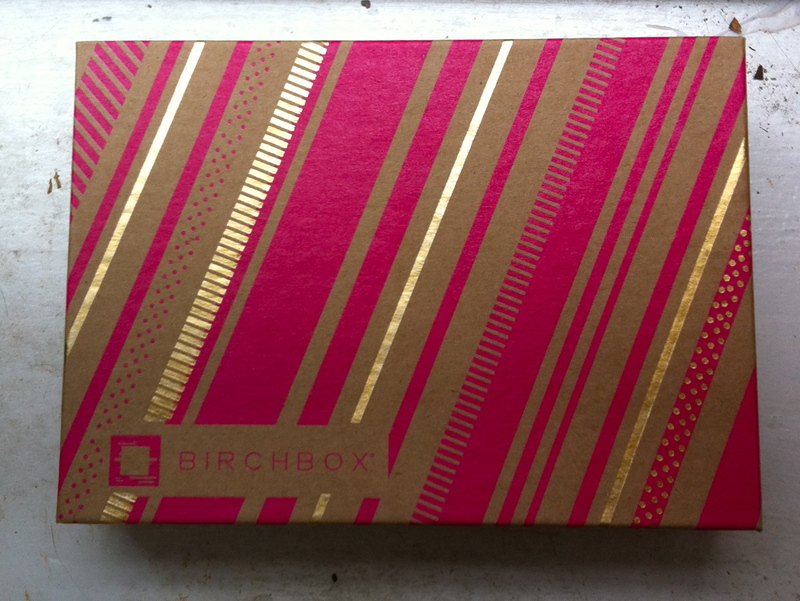 The actual Birchbox features a designed lid. I need to think of some way to reuse this one! To find out what's inside, click to read more! ModelCo Shine Ultra Lip Gloss in Berry Pink | I love this lipgloss and was happy to receive a full-sized product since I haven't been too impressed with the sizes of my samples in my last couple of boxes. I love the packaging; the mirror on the side is super handy. Also the lipgloss is not sticky at all but still lasts a decent amount of time. One thing to note is that it isn't very pigmented, more of a sheer wash.
Thymes Naia Body Lotion | I tried this only a couple of times but I really love the texture and the scent. It's very light but still moisturizing which is exactly what I am looking for in a lotion. Juice Beauty CC Cream | I tested this out this morning and unfortunately did not like it at all! It was way too thick for me & did not have any colour what-so-ever! It felt like it just sat on the top of skin. I had to wash my face and start my make-up over again. Maybe this would work better if you had drier skin? It smells very grassy too, which I don't mind but to people that don't like herbal scents this may not be for you. I haven't tried the Kerastase Protectant or the other Thymes Lotion yet. I tend to hold on to foil packets, but I am excited to use these. These products are perfect for this time of year. I tend to do a lot more heat styling, and you can always use lotion in the winter! Overall, I think I might have liked the packaging more than the samples inside! I do really like the lipgloss and the lotion, so as always it's worth it to me to stay subscribed. I also am going to reach over 300 points this month! I am telling myself to save up my points for a whole year, but I am very tempted to spend them now!! Do you save your points or spend them right away? 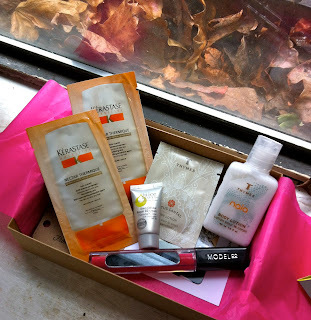 What did you get in your December Birchbox?